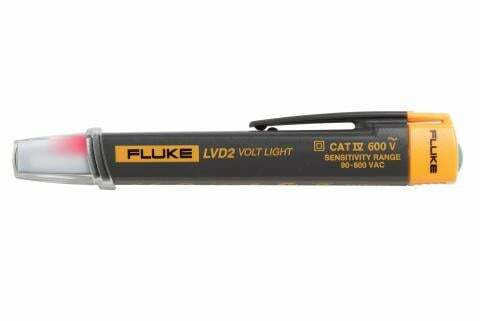 Voltage detectors are a quick inexpensive way to check for the presence of live voltage on ac circuits, switches, and outlets before working on them. 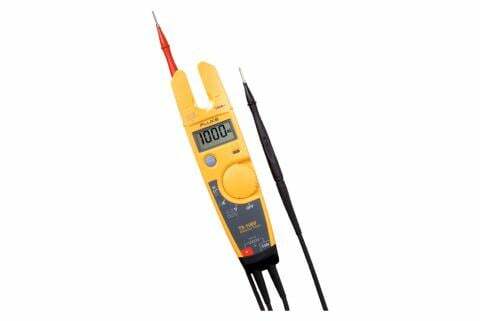 They typically chirp or glow when they detect voltage on exposed conducting parts or through insulation. The user must exercise safe work practices and wear appropriate PPE. Verify that the voltage detector is working properly. Use the detector to test a known live circuit both before and after you test an unknown circuit, and make sure it gives you the proper response. If there is any doubt in your mind about whether the circuit is truly live or dead, use an additional method to verify the test results. 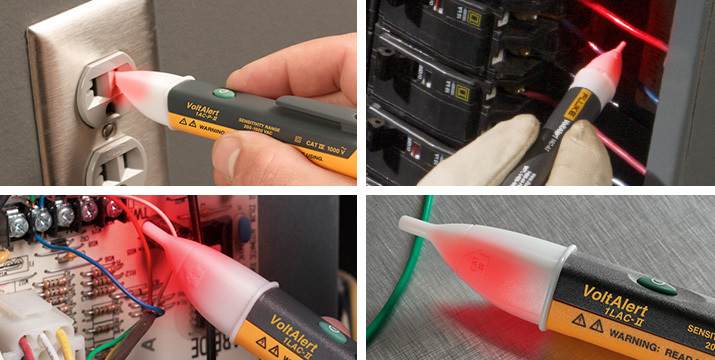 Ensure that the voltage detector you are using is appropriately rated for the measurement environment you’re working in and is within the voltage range you’re testing. Industrial environments are generally CAT III or CAT IV. Not all voltage detectors are safety rated, however, and they’re not equally sensitive. Some detectors will read small levels of voltage that others won’t detect at all. Don’t assume that the detector you’re using now will perform the same as others you’ve used in the past. Know the limitations of your voltage detector and know that capacitive voltage detectors have certain limitations. Correct operation depends upon the capacitance between the detector’s barrel and ground (normally through your hand and body). If this path is broken for any reason, the detector probably won’t work. For example, if you’re standing on a wooden ladder, the capacitance between your body and ground will be much less than if you were standing on a concrete floor. To help avoid incorrect detector readings, find an installation ground that you can touch when using the voltage detector. Note that the detector cannot detect live conductors inside a grounded metal conduit. For best results always hold the detector by the body and remember to keep your fingers away. Getting safe, reliable readings from voltage detectors requires the right kind of detector for your work environment, as well as adhering to safety ratings and procedures. 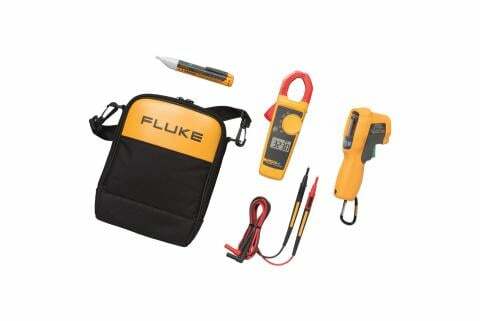 Ultimately, your voltage detector is only as safe as the procedures surrounding its use.